As the popularity of hard cider grows in the United States, it’s the industry thriving within the Keystone State that is helping set the niche market’s pace. Pennsylvania has long found success in being an apple-producing state, but now more than ever, state producers are tapping into cider-making and cider-related businesses. To truly tap into the world of PA’s hard cider market, I recently chatted with three of its major players: Hank Frecon, acting president of the PACG and co-owner of Frecon Farms Orchard and Cidery; Carla Snyder, Agricultural Entrepreneurship and Marketing Educator at Penn State Extension and advisor to the PACG; and Ben Kishbaugh, co-owner of Big Hill Ciderworks, a member of the PACG. I was able to learn a lot from their wealth of knowledge and I could feel the passion that each of them had for this industry. Carla elaborated that this unity was also created to provide input on research and education needs for members as well as consumers, with the advantage of assisting in member networking, which would help with sharing equipment, personal experiences or other industry connections. The PACG has membership options for cideries, cideries in planning, associates (non-cider producing businesses in the industry) and enthusiasts. The enthusiast level membership is for consumers looking to support Pennsylvania’s growing cider industry. “This level of membership keeps consumer members up to date on the guild’s progress as well as cider events and developing news,” stated Carla Snyder. It also comes with a PACG T-shirt and discounts at participating PACG member locations—some pretty great perks. 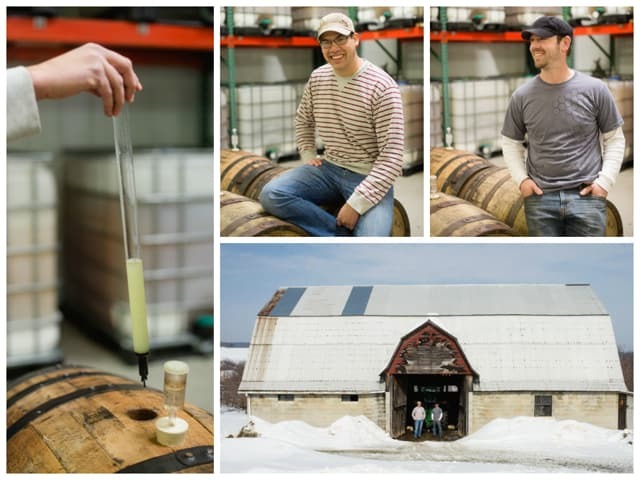 Some people look at the growth of the cider industry in Pennsylvania as a new phenomenon, when in fact this new trend is merely cider’s reemergence locally. PA is the fourth-largest apple growing state in the nation. “We’ve always maintained a lead position in the Mid-Atlantic, East Coast, and really in the nation as a dominant producer of apples,” explained Frecon. Cidermaking was at the heart of colonial Pennsylvania. This had as much to do with necessity as it did the fact that PA has great conditions for apple production. 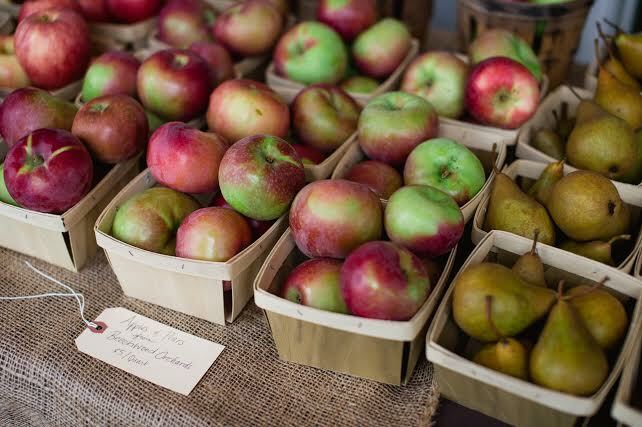 Our climate and soil are the reason we are still a leading apple producing state to this day. Adams County, Pennsylvania, home to Big Hill Ciderworks, is especially productive for apple growing. When I spoke with Ben Kishbaugh he explained why Adams County is so great for cider making. This creates a myriad of obstacles for cideries to overcome. First and foremost, classifying hard cider as a malt beverage is very misleading to consumers, as it has zero malt in it and is made purely with apples. “The second thing is at 5.5% ABV, you are under a lot of the apples’ natural fermentation range. So, for example, we have an apple called the Golden Russet—which is a colonial apple. The Brix on that this year was 15.5 [degrees on the Brix Scale, which measures the sugar content of a liquid and helps calculate the final alcohol content], and the result of that will be an 8.6% ABV. What’s our recourse? Are we supposed to add water to that to make it meet law?,” questioned Hank. He elaborated that at that point he would be able to sell it as an apple wine, if he has the proper license. But, that creates a whole different issue that plagues PA cideries. If a cidery creates a cider that is 5.4% ABV and another that is 5.6% ABV, their different classifications will also dictate that they are sold through completely different distribution channels. The 5.4% ABV “malt beverage” can be sold though the beer distribution network and will eventually be stocked in beer wholesalers, case distributors, bars and bottle shops. On the other hand, the 5.6% ABV “apple wine” cannot be sold through any of these distribution channels. It must be directly sold to bars, restaurants, taverns and hotels. This law has created plenty of frustration for every PA cidery. This frustration was obvious when I spoke with Ben. 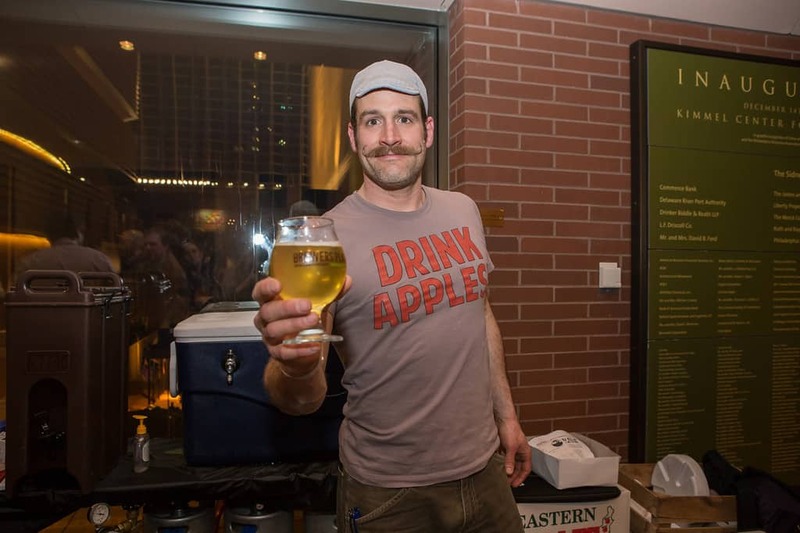 He stated, “It’s hard to see other cideries in Maryland, Virginia, New York and all over the country that can progress and grow because cider is defined differently in other states.” Big Hill Ciderworks has other legislative hurdles that make it hard to grow in this state. “We’ve also had trouble with taxation. 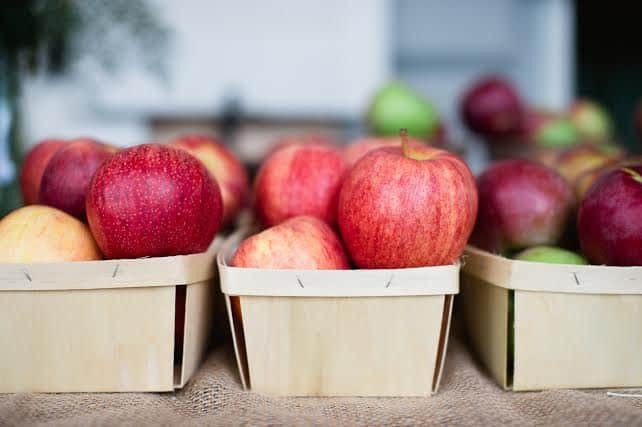 As apple producers, we pay a per-bushel tax to the PA Apple Marketing Board, which goes to fund apple research in Pennsylvania and marketing for PA grown apples. 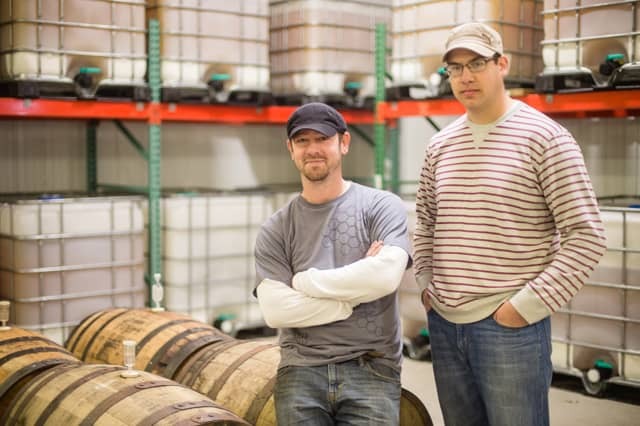 As a Limited Winery, we also pay a per-gallon tax to the PA Wine Marketing Program for many of the same reasons, only for wine and not specifically cider,” explained Ben. The PACG is not solely a legislative body. Part of its mission is to help educate consumers as well as promote research and development into apple growing and cider production in the state. Some of the education that PACG strives to accomplish is getting past some consumers’ incorrect perceptions of hard cider. Many consumers look at cider as a malt beverage (possibly because of the PLCB classification) or a beer-like beverage, when it is actually produced just like wine. While the PACG member cideries consist of smaller craft cideries, many consumers expect their products to be the same as those from large national macro-cideries. While some products from micro- and macro producers are similar, most are very different. The majority of macro-cideries strive to make very sweet ciders that are often loaded with artificial and natural flavorings. On the other hand, the majority of Pennsylvania’s craft cideries create a product that is all-natural and drier in comparison. 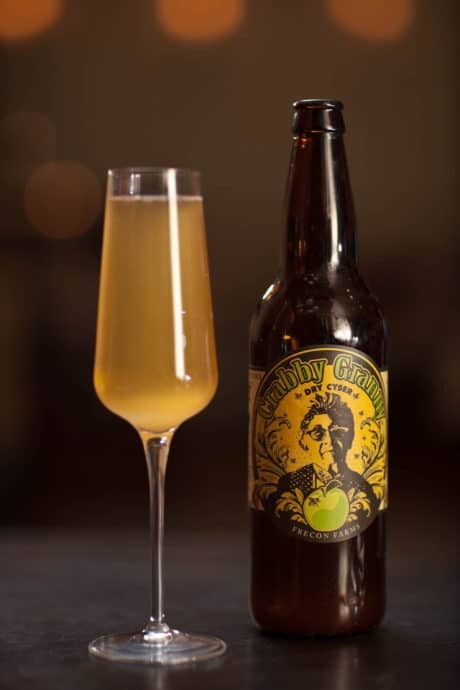 There is nothing wrong with enjoying sweet cider, but some consumers are unwilling to try craft cider because they have expectations of something very sweet that they are not interested in. When I spoke to Hank on this subject, he compared this trend in perception to a similar trend in wine in the 1980s and 1990s. When I asked Hank what consumers can do to help alleviate these difficulties for the cider industry, he said that the biggest thing that consumers can do is join the PACG with an enthusiast membership. Hank explained, “That’s one big way, because believe it or not just by being a member you’re contributing to a greater cause. And that allows the organization to have the kind of funding that we need to basically start to get some of these changes in place.” This not only provides the necessary funding to keep the guild operating, but shows lawmakers that there is a large market for the product. The second thing that he suggested was to reach out to your local officials about the desire to see higher ABV ciders on the market. Finally, tell your local bars and restaurants that you want to see more of it on tap. Supply and demand basics. Consumers will drive the demand and help create an ongoing growth for the cider industry. 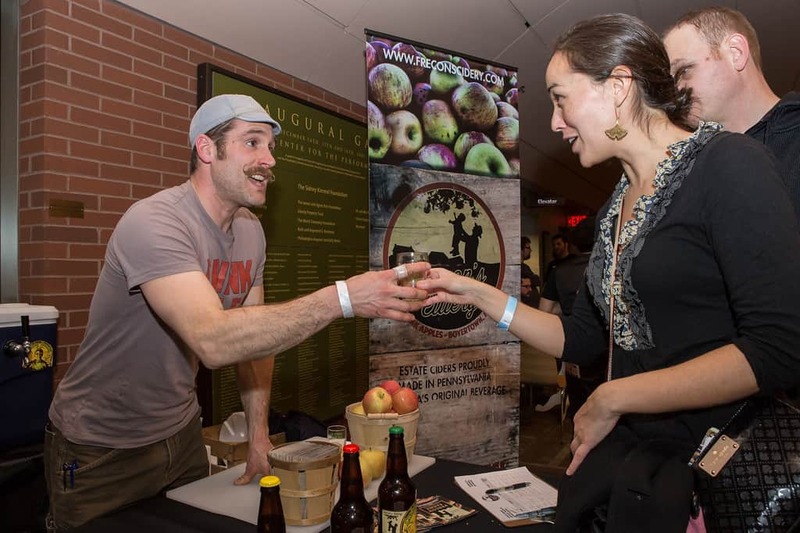 Find out more about the Pennsylvania Cider Guild and how you can become involved. Be sure to also stay on the cusp of what’s new in PA cider by visiting Frecon Farms and Big Hill Ciderworks. 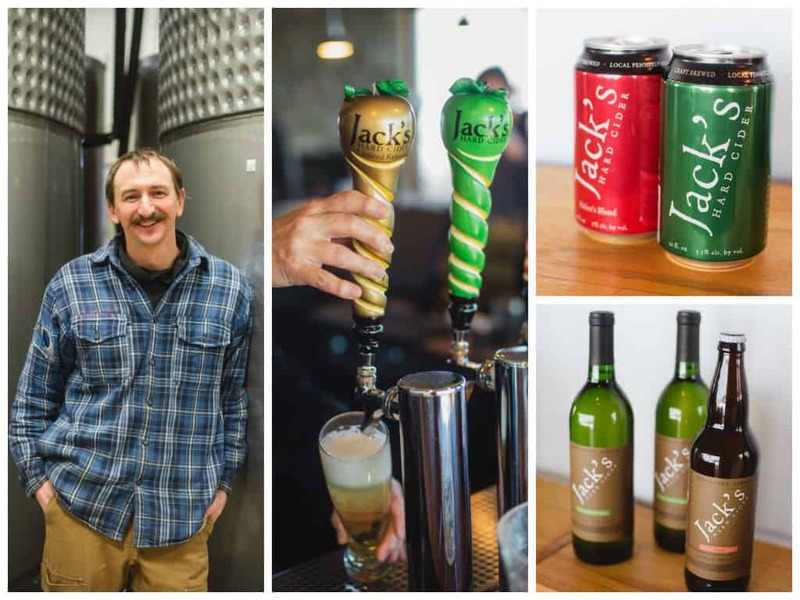 The PACG also features a cohesive roster of Keystone State cidermakers, including our favorites Jack’s Hard Cider, Kurant Hand-Crafted Ciders, Wyndridge Farm Crafty Cider and many more. Frecon's Cidery's Crabby Granny: Gary Colyer Jr.
Just a simple question. . . . Where do you buy your yeast for commercial cider making? I’m getting tired of tearing open little packages. This would be pitching into 50 gal. barrels up to 1000L tanks. You can order from Scott labs but you need to call if you have a large order. Where can I find juice from English cider varietals. I’m brewer, mead and cider maker and will be in Pennsylvania for the National Apple Festival and trying to find some high acid juice to take back with me. I can’t really find any really good juice for making cider in Texas.